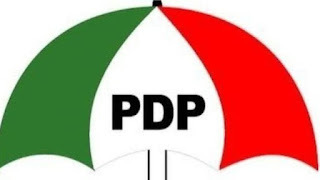 The leadership of the Peoples Democratic Party (PDP) has expressed concerns over hiccups in the conduct of the 2019 general elections. The party, at an emergency National Executive Committee (NEC) meeting in Abuja on Wednesday, complained about the inability of the Independent National Electoral Commission (INEC) to conclude the elections in record time. Winners of the governorship elections are yet to be declared in seven states where the polls were declared inconclusive. The affected states are Kano, Sokoto, Benue, Plateau and Bauchi states. The concluding part of the elections are billed to hold in the affected states on Saturday. The governorship election in Rivers state has become a subject of legal rigmarole by interested parties as a result of suspension of announcement of the results midway into the exercise. Also of grave concern to the main opposition party was the militarisation of the elections in many states in the South-South geopolitical zone. The party has resolved to do a post mortem of the general election after the supplementary elections. The PDP National Chairman, PDP, Prince Uche Secondus who presided over the meeting, called on the military not to allow themselves be called out again for what he described as illegal duties. He enjoined the military and other security agencies to resist any attempt to be dragged into paying manipulative roles in Saturday’s supplementary elections in the affected states. The party chair said that military institution in Nigeria is highly regarded and therefore has the responsibility to guard its reputation jealously. According to him, inconclusive terminology is a rigging strategy introduced by the INEC to aide the governing All Progressives Congress (APC). Secondus said that property will hold the INEC Chairman, Prof Mahmood Yakubu responsible for the consequences of all his actions. President of the Senate, Dr Bukola Saraki said the result of the presidential and state elections reflected the strength and character of the PDP and urged members to build on the foundation. Saraki said the victory of the APC in the presidential and state elections will be short-lived, adding that, “We have a great future ahead and I believe we will start that on Saturday to make sure that we defend those five states that are declared inconclusive. “If anybody believes that it is a loss to PDP, it is a loss to the country that history will not forgive. We said it many times here, that the worst to do is to do an election that our country, Nigeria will not be proud of. “How can a country like Nigeria have this type of election? Ghana has done it, Congo and Zimbabwe have done elections. And we say we do elections, with seven inconclusive. We did elections in 2015, we did it in 2011 and 1999 and after so many years, this is what we can produce. “It is not a loss to the PDP, it is to the country. It just showed the level of desperation. I have confidence that this will be shortlived and as such, let us ensure on Saturday, that these fives states that as ours remain within the PDP and INEC should for once do what is right”, Saraki said. Also speaking at the meeting, the Speaker of the House of Representatives, Mr. Yakubu Dogara, urged INEC to save the country the agony setting bad precedent for the country. Dogara said, “Elections are done all over the world, elections are conducted in Africa and at no time have we heard of these inconclusive elections in other jurisdictions. Ghana elections were held not long ago. “It will be very unfortunate if INEC, which is led by a first-class Professor set this very dangerous and unacceptable precedent in our political history. That I want them to take note of. “And also what has happened is pure evil, our consolation as members of this party is that evil does not last and no evil doer has ever escaped punishment. “If they do what others have done before, they will see what those who did evil saw. Definitely, they cannot escape from it. It’s a law of nature and in the scriptures of God, that whatever you sow so you shall reap. “This is also for those who believe in power for the sake of power, not because they want to empower people, not because they want to better the lives of our people. “There is also lessons they can learn from history. History is now replete with examples of all those who pursued power, for the sake of power. Their lives have always ended in semilar tragedy that awaits anyone who seeks power for the sake of power. We have seen that display in Nigeria. “For us as members of this party, I don’t want us to despair, even though we have inconclusive elections in some states. In five of those states, PDP clearly won the election in those states. “We will not despair, let us stand strong, let us face the rerun or supplementary elections as they called them. I sincerely believe that by the grace of God victory is ours and we will overcome. 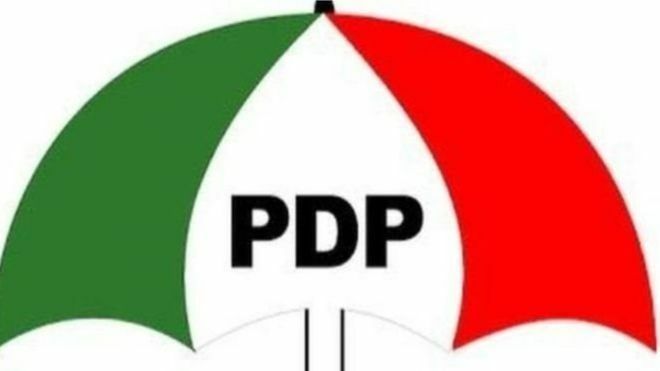 The PDP vice presidential candidate in the February 23 election, Mr Peter Obi, said besides blaming the INEC and the security agencies, the biggest shame goes to those who are directing them to do the wrong thing. Obi said, “If you choose to be a leader, especially with APC that claims integrity, the biggest corruption and the biggest show of a government that does not believe in integrity is to rig election. Because the process through which you come into office, is far more fundamental than what you do thereafter. “I think we should hold them responsible for what is happening in this country now. The examples we are setting for the young ones, I don’t know what they will tell a young man who is cheating in an examination in this country after seeing the ways our elections are conducted. “I don’t know what they will tell those who are robbing banks and kidnapping people, because we have seen the biggest of it by this election where people are happy after robbing the nation and their states. “The chairman said we will do a post mortem after the election. I thank the party, because it is the party that is going to court not just the presidential candidate going to court to challenge this rascality. “I as a person have always believed that the biggest enemy of freedom or progress are happy slaves. And thank God that this party has chosen this part, and we will all stand by it”.